What City doesn’t sleep, and has tons to offer families with kids? 2. Go to a Broadway Show! – Broadway shows have never been more kid friendly than they are right now! Take in a classic story like Cinderella or The Lion King, or go for a brand new show for kids like Newsies or Matilda! Whatever show appeals to your group, it’s sure to make a magical memory! There is nothing like the top notch production values that can only be found on the Great White Way! And no one can ever forget being a kid in a dark theatre for the first time when the orchestra starts up, and the music sweeps you away into a fantasy world! 3. Go to The American Museum of Natural History – The American Museum of Natural History is one of the most famous museums in all of the world, and it includes 25 connected buildings, 46 exhibition halls, and more than 32 million specimens! Your kids may know it best as the setting for the 2006 movie “Night at the Museum.” But The Natural History Museum is not only an educational place to visit in NYC, but also a ton of fun! Make sure to get a picture with the full-size Tyrannosaurus Rex! 4. Take a trip to 30 Rockerfeller Plaza! – Go backstage and behind-the-scenes of NBC's most famous studios and TV shows! Get your photo taken at the news desk and give a weather demonstration in front of the green screen. An NBC Page will give you the scoop and show you all the fun stuff: props, costumes, cue cards, control rooms. You may even get to see the cast of SNL practicing for that weeks show! 5. FAO Schwarz! -The FAO Schwarz flagship store in New York City is a must-see destination in the Big Apple, bringing the 150-year legacy of the beloved brand to life for visitors of all ages. And really, who can resist playing chopsticks by jumping from key to key, on that larger than life floor piano featured in the movie “Big?” This location is all about pleasing everyone’s inner kid! 6. Climb the Statue of Liberty! – You may know that The Statue of Liberty was a gift of friendship from the people of France to the United States, and is a universal symbol of freedom and democracy. But did you know that not only can you go see it, but you can also reserve a time to climb up inside it, and go into the crown? Though the crown was closed for many years to visitors, it’s now open if you reserve a time to make the momentous trip into Lady Liberty! What a once in a lifetime experience! 7. Visit Little Italy & China Town! – Walking beside the narrow, cobblestoned streets beneath the fire escapes of turn-of-the-century tenements, you’re sure to be tempted by the sights, sounds and smells of Italian cuisine and culture! And if you are there in September, be sure to check out the famous San Gennaro Festival. And if you’re more in the mood for some Dim Sum, why not check out China Town?Chinatown New York City is located in one of the oldest neighborhoods in Manhattan. Chinese immigrants settled in the area as early as the 1800s. Chinatown offers a unique historical and cultural experience not found anywhere else in the world! 8. Take a Carriage Ride through Central Park! – A Horse-Drawn Carriage Ride is a wonderful way to experience the beauty of Central Park. They can be found all year round and although you can reserve them ahead of time, the cheaper way to ride, is just to snag one thats open when you get there! 9. Empire State Building – Soaring more than a quarter of a mile above the heart of Manhattan, the Empire State Building has been immortalized in too many films to mention. It’s observation deck is open both during the day and at nightime, and will allow you to see NYC from an unparelled vantage point! 10. Hail a NYC Taxi Cab, and hop on a NYC Subway! – There are few NYC moments as iconic as when you first hail a NYC Taxi Cab or climb down some twisty turny stairs to the underworld that is the NYC Subway! Here is a tip for hailing a cab, stand just off the curb with your hand raised. And stand on a cross street! That way you can snag a cab coming from several directions! And when your ready to take the subway, be sure to pick up a free pamphlet at the turnstyle to see where each line goes. And be sure to enjoy the muscians that play in the subway as you walk from platform to platform! 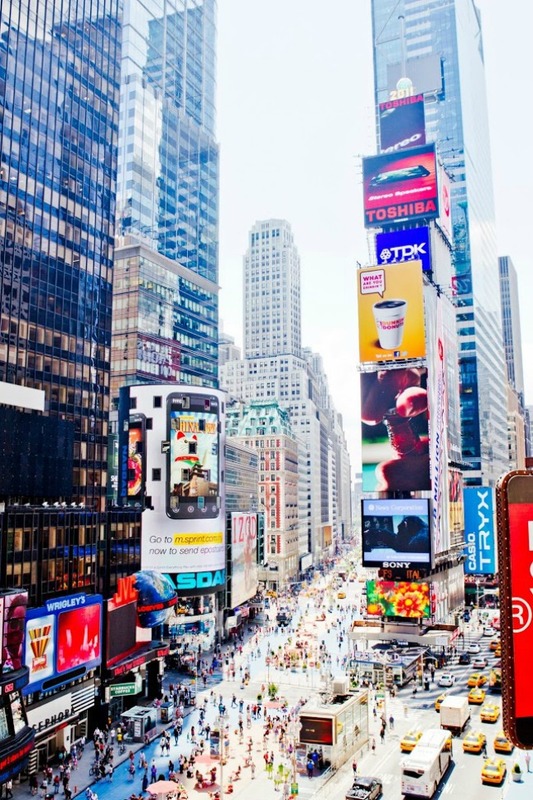 New York City is full of far more than just 10 awesome things to do with kids! And some of the best adventures there are found just by exploring. I truly believe that NYC is a “must see” place! And despite what you might have heard, native New Yorkers are actually very friendly and very used to sharing their space with tourists. So if you have a question – ask!